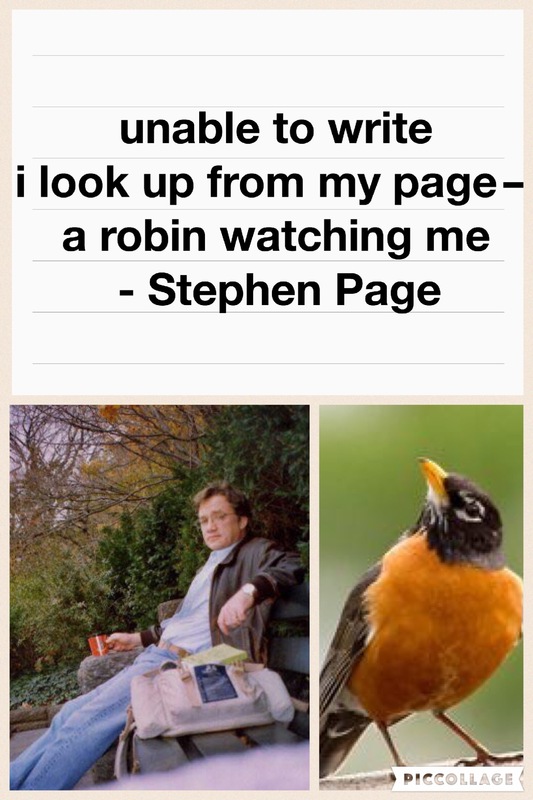 a robin watching me, by Stephen Page, as published by Zee Zahava on brass bell. Better a Robin than the CIA. Or your soon to be ex’s lawyer.